My little brother, who is not so little anymore (he’s 26 and at least 7 feet taller than me), lived with Janette and I for a few months at the end of last year. He wanted to check out what life in LA is all about and eat at some of the delicious places I’m always putting on the ‘gram. In exchange for taking him out to decadent meals of veal brains and Korean BBQ french dip sandwiches, he expanded my horizons when it comes to hot sauce. He’s a big fan of the YouTube show Hot Ones….you know the show with “hot questions and even hotter wings”??? If you haven’t seen it you should definitely check it out. The host interviews celebrities while they eat increasingly hotter wings. It’s incredibly fun to watch, especially when the guests didn’t really know what they got themselves into and have no tolerance for spicy food. Watching the show really got me wanting to try some of the hot sauces on my own chicken wings. Daniel highly recommended Secret Aardvark and I a trusted him. Boy, am I glad I did! Secret Aardvark has quite the cult following, particularly in Portland, where it can be found on most restaurant tables. It’s not uncommon for some fanatics to use an entire bottle on a large pizza. Personally, I like to cover my morning scrambled eggs with it. It’s a habanero & tomato based hot sauce that delivers what I would consider a slow heat. When you first bite, you get a good taste of the flavor, then the heat gradually creeps up on you. I’m serving up several dozen of these for the Super Bowl. Don’t even know who is playing, but I can’t wait to share these Secret Aardvark wings with all my friends! Heat oil to 375 degrees F in your deep fryer or a cast iron skillet. In a small bowl, mix the salt, black pepper, and garlic powder together. Place chicken wings on a baking sheet and dab with a paper towel so the skin is dry. Sprinkle the spice mix on the wings. When the oil is ready, carefully add the chicken wings and fry for 11 minutes, turning at least once. Mix the Secret Aardvark and butter together. 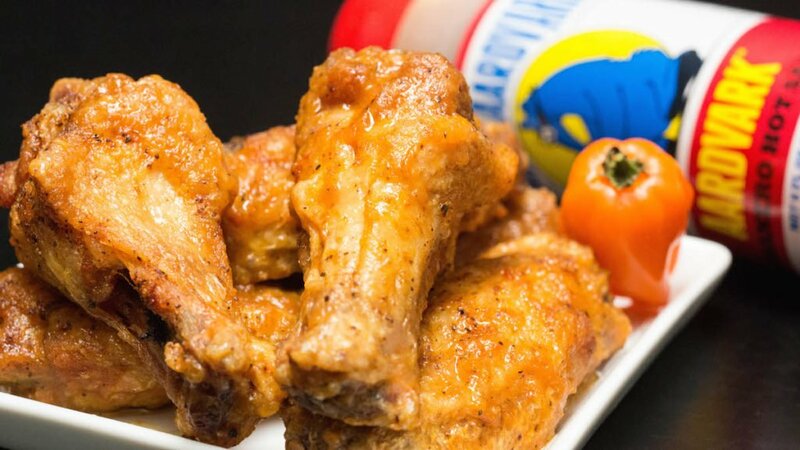 Place chicken wings in a large bowl, then drizzle and toss with the hot sauce mixture. dont know what secret aardwark is. where can i get it? If you click the link in the post or in the recipe it will link you to the Amazon page where you can purchase Secret Aardvark. If you have any hot sauce stores in your area, they also likely carry it. Hope you find some, it is sooooo good! The name “secret aardvark” alone has my attention! 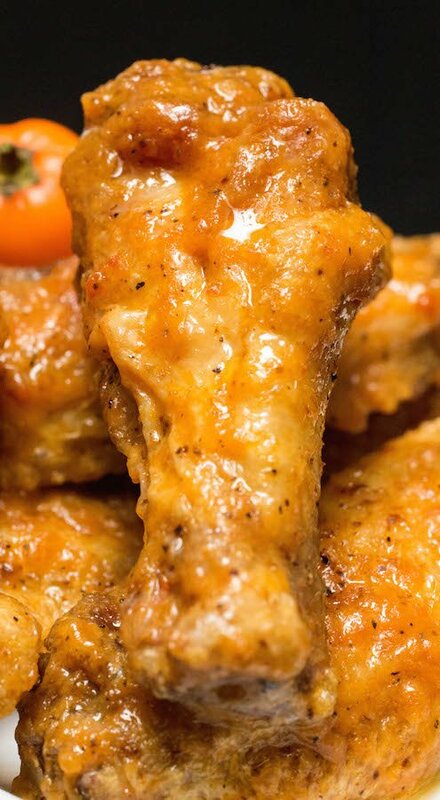 I’m trying so hard to stay away from wings after overindulging during football season, but these look too good to pass up! I made these yesterday and they were excellent! So glad you enjoyed them, Patrick! We eat them at least once a month. Oh these would be a great snack or dinner! I’ve not heard of this secret Aardvark. I’ll key an eye out for it. Sounds super yummy! I love spicy chicken wings. I’ve never heard of secret aardvark but now I want to try it. Looks so good on these chicken wings. Delish! 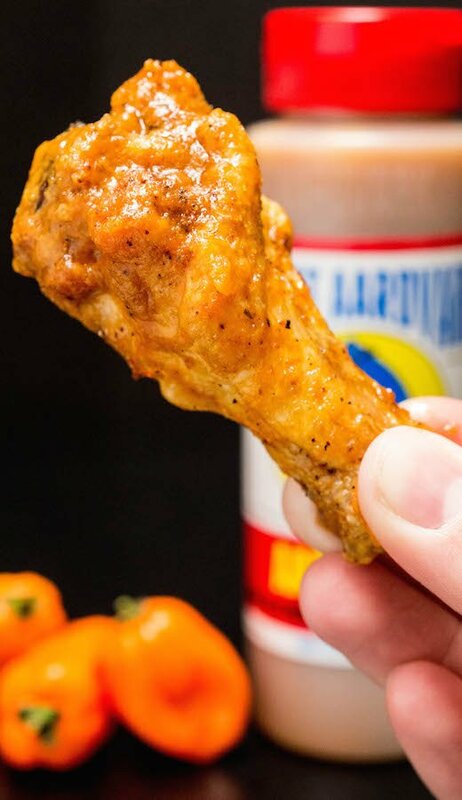 Thanks for leaving a link to this sauce because you made it sound so good I’m going to have to order some for my next batch of wings! i have never heard of this sauce but it sounds fantastic! you cant go wrong with habanero. My first thought was Aardvarks don’t have wings. Of course, neither do buffalo, and we like those. But that picture looked so delicious. I kept reading. I’ve never heard of Secret Aardvark, but after reading your post, I intend to check out every store in my area to find some. I have to make these wings! They sound like the kind of wings you have to keep eating to keep the heat at bay. Those are my favorite. I’ll have to tell my boys about the sauce. Now, I do like a good hot sauce but it seems like males like to see how far they can push the heat. I like to be able to breathe without flames coming out of my mouth. We used to watch the cooking shows a lot. Anymore, most of them disappoint. I’ll have to look for the one you mentioned. LOL My “little brother” – who was considerably older than yours – was the one who introduced me to Buffalo Wings in the first place. He went to college in Western New York before they’d spread out to the rest of the country. (Yes, there was a time when you could only get Buffalo Wings in or near Buffalo, NY.) He used to talk about places that had half a dozen varieties – different heat levels, of course, but also different flavors depending on what hot sauce was used… So now, of course, I am curious about that one, which I’d never heard of. I’ve never had Secret Aardvark! I’m going to have to order some and try these wings. They look fantastic! My friends would absolutely devour a platter of these in no time at all! Secret Aardvark? Never heard of it before but super intrigued at this point. Will it be good with chicken thighs? Yes, Tatiana, it would! I just made an entire roast chicken with it the other day that was amazing! I am going to say my boys need this wing recipe in their lives asap. I cannot make my wings hot enough. The Aardvark Sauce is great and I can ship it to my son in California since he recently relocated. These look so good, I want to reach in and grab one! Thanks for sharing. I’m from Texas,and I’ve never heard of Aardvark sauce!! !Where can I find in Texas?? ?